At the time of the final International Trophy to be held at Silverstone, no-one would have imagined its surprise winner becoming the F1 World Champion just four years later. And to make Keijo Rosberg's 1982 accomplishment all the more remarkable - probably even in 1981, when the Finn made up the numbers with Fittipaldi, no-one would have dared to wager a pound on his success the following season. While his fierce driving style was a joy to watch, and his paddock manners distinctly and refreshingly politically incorrect, even as a front-runner Keke rarely tasted victory. In his career, he scored five World Championship wins plus each last edition of the International Trophy and the Race of Champions. These last two probably stand out as his best - his 1978 Trophy glory was certainly unexpected to say the least. In a rain-soaked race, the ill handling of Theodore's first "self-designed" car (which in fact was the F2 Ralt RT1 acquired by Teddy Yip!) was countered beautifully by the charging Finn, who flew past the ailing favourites to score a magnificent victory, beating the Gods both in the sky and on the track. Although Keke Rosberg's win was regarded as a masterful win against the odds, it didn't instantly propell him to F1 glory. First he was promised a competitive car by Theodore owner Teddy Yip, which the TR01 quite plainly wasn't. In the meantime he subbed for ATS before Theodore's order of two Wolfs finally arrived, but all sorts of car trouble had Keke move back to ATS for the last couple of racing of 1978 before replacing a fed-up James Hunt at Wolf. After that, the Finn had to endure two more years in back-of-the-grid Fittipaldi cars (which included his third acquaintance with a 'Wolf') before being picked up by Frank Williams. Frank must have regarded 1982 as an interim season after his star drivers Jones and Reutemann had left and he decided to ride his luck with Rosberg. It had to be Ferrari's year anyway: with a star line-up of Villeneuve and Pironi and the best engine around everyone expected a Ferrari landslide, perhaps challenged by a Renault team on the up. But to Frank's (and anyone's) surprise, Keke went on to win the title after the Ferrari challenge was struck by double tragedy halfway through the season, while Renault's effort was blighted by unreliability. Remarkably, Rosberg is still the only Champion to have failed to score any points the previous season! For the Theodore outfit, Keke's win remained its finest hour. It returned with its own cars in 1981 but never reached the heights of that rainy Sunday, May 1978. 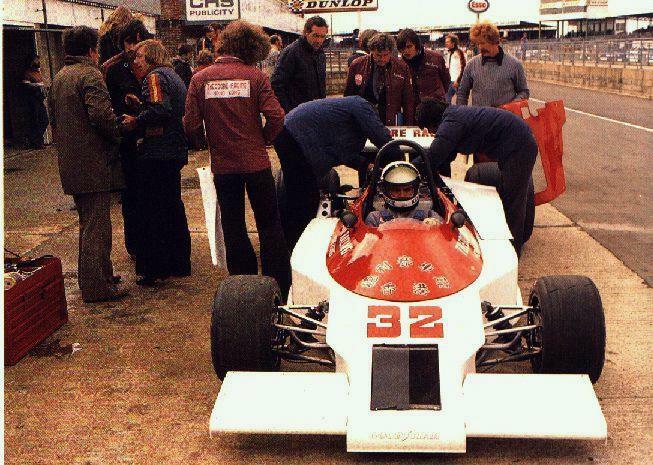 Hong Kong entrepeneur Teddy Yip then went on with his business at Ralt, again teaming up with Ron Tauranac who constructed several championship-winning F2 and F3 chassis in the mid-eighties.